We design and produce stained glass panels, windows and leaded lights. We work mainly in South London. 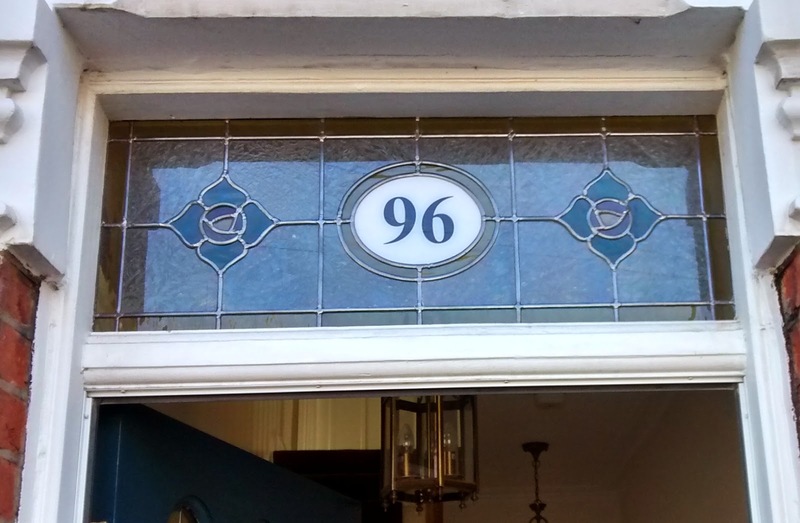 Modeled on the pattern of the ersatz stained glass triple glazed ‘ealing rose’ units that are around, this is a traditionally made panel with number. The number isn’t simply painted - its made from white flashed glass - clear glass with a very thin layer of white opal glass fused onto one side when it was made. The white flash is then sandblasted away to form the actual numerals, and then filled with a permanent black resin.